Nancy Hutchinson hears a lot of things others don’t. That’s probably because, as founder and president of Michigan Cat Rescue, she’s heard a lot of them. And it may explain why she was the only one who heard the tiny distress call. Hutchinson couldn’t find the animal in distress that day. But a couple of days later, her friend spotted a black kitten scampering across the street. A neighbor managed to get the kitten into a shoebox. Soon after that, the kitten found himself in a warm bath, with offerings of food — “which he inhaled because he had been starving,” Hutchinson says — and, naturally, plenty of cuddles. 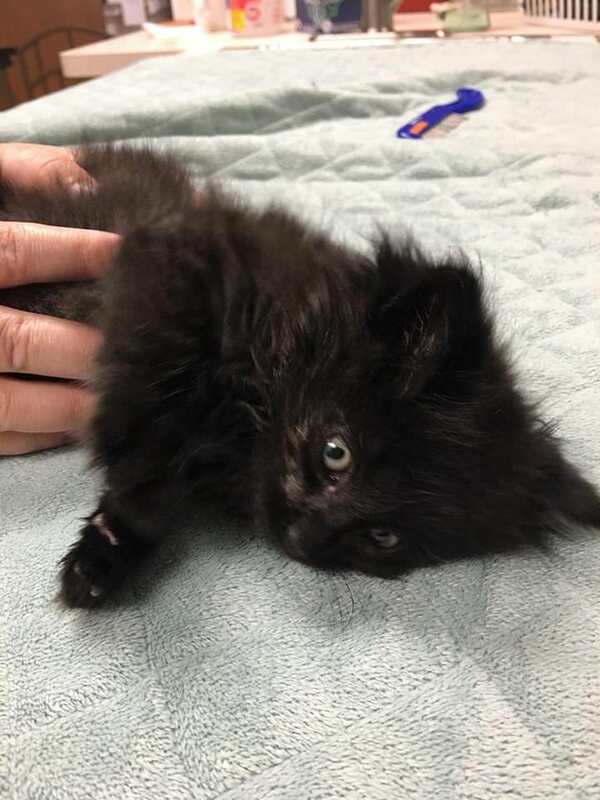 Christy Regan, a veterinarian at Cat’s Veterinary in Clinton Township, would later pronounce the 4-week-old kitten healthy, even if desperately thin. She also gave him a name: Oatmeal Stout. While the kitten’s coat fits the bill — Oatmeal Stout is a particularly dark beer — it’s what’s on his inside that truly lives up to the ‘stout’ part. Just barely in this world and entirely on his own, Oatmeal Stout needed a strong heart to survive as long as he did — a heart that overflowed with gratitude once he was finally among friends. “He loves tummy rubs and loves having his photo taken,” Hutchinson says. 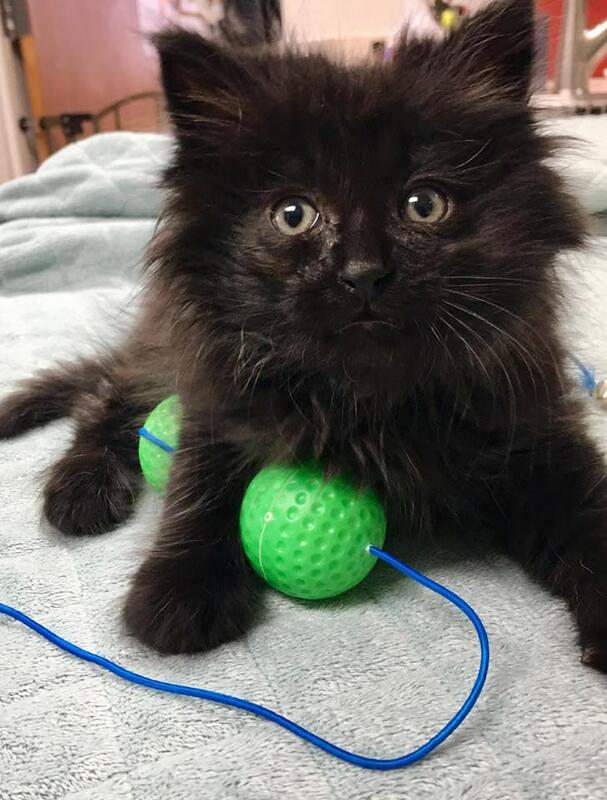 Michigan Cat Rescue, a nonprofit group that relies entirely on donations to save countless animals like Oatmeal Stout, made sure the kitty got the care he needed, as well as a foster family. But this kitten’s journey doesn’t end there. “We received a good couple hundred inquiries on him,” Hutchinson explains. And one of those potential adopters proved the perfect fit. » Ask A Vet: We Are Moving. How Can I Help My Cat Adjust?